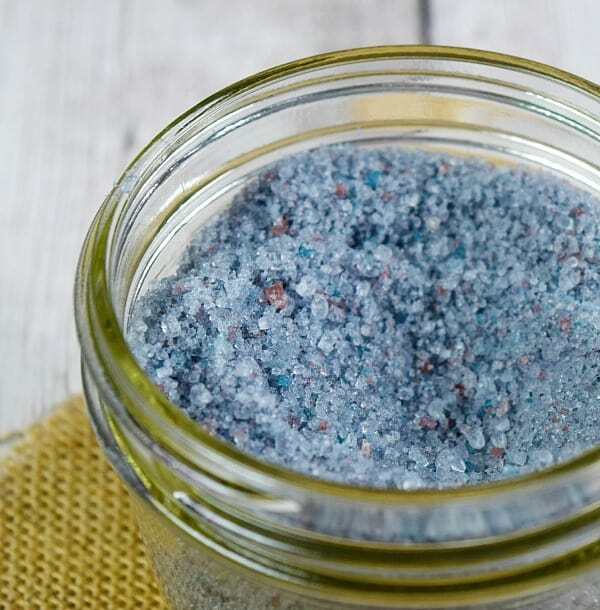 Have you ever tried to make homemade bath salt at home? I love bath salt but it can be very pricey in stores and sometimes the scents just aren’t to my liking. 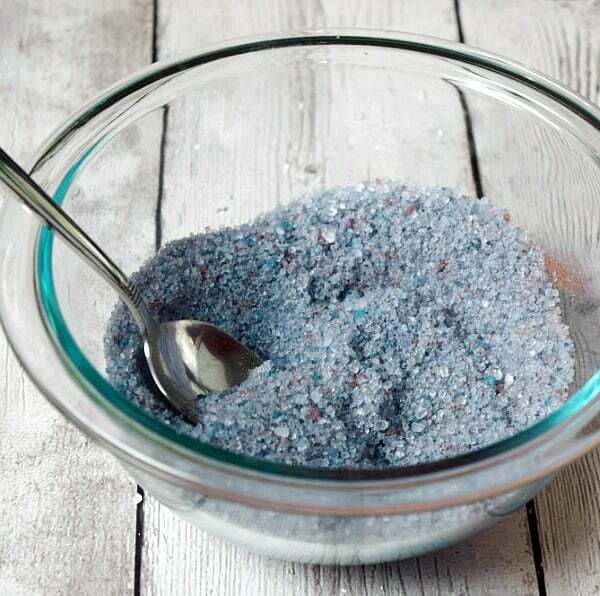 I decided to mix up my very own lavender homemade bath salt and I couldn’t believe how easy it was to make. Best of all it only took five ingredients to get it the perfect way. With Valentine’s Day coming up so quickly this would make the most perfect gift to give your friends, family, co-workers, neighbors and anyone else. Homemade gifts really are the most thoughtful gifts. 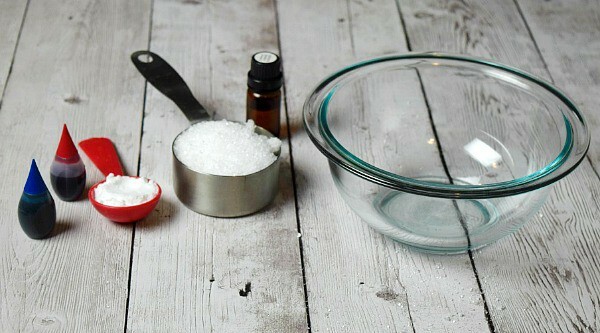 Grab a medium size mixing bowl and pour 1 cup of Epson salt in the bottom of the bowl. Pour your tablespoon of baking soda right on top of the Epson salt. Mix the 2 ingredients together well. If you choose to add in food coloring now is the time to do it. I added one drop of blue and one drop of red and mixed well to get my light purple lavender color. To finalize my lavender bath salt I added in two drops of my favorite Lavender Essential Oil and gave it a quick stir. That’s it your homemade bath salt is complete. Store in an airtight container and it will last up to 3 months. 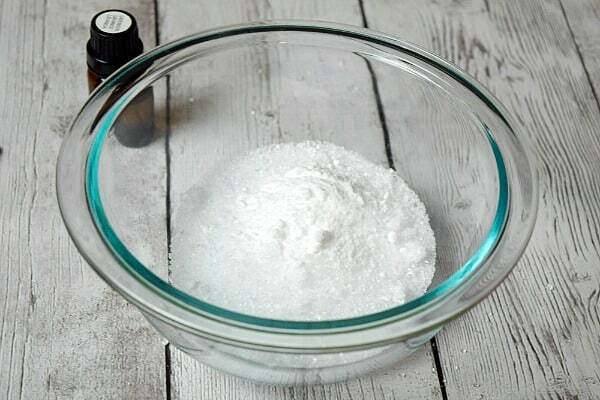 Have you ever used essential oils to make your own bath salt? 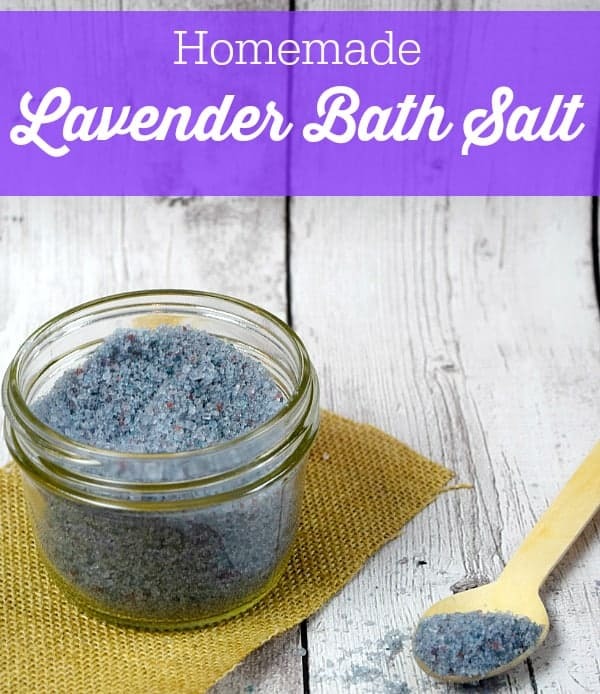 This recipe looks great to try and make my own Lavender bath salts. I get it smells amazing and really helps with sore muscles! Have just discovered Epsom Salts myself and this sounds like a wonderful improvement for a reasonable price! Thanks for the idea! So simple and would make such an amazing gift! Just what I’ve been looking for – thanks a bunch! This is a great DIY!! I have been thinking about making some salts and scrubs!! I make bath salts for gifts all the time. Easy, inexpensive and appreciated by the giftee. What a lovely gift idea. Pinning for later and thank you for sharing. Thanks for the recipe for homemade bathsalts. This is a great idea for you and for gifts. The food coloring really would let you make it unique, and lavender is wonderful.